Over the last few years, Venezuelans have suffered from the devastating impacts of a crumbling economy. Now severe drought has incapacitated its biggest hydroelectric plant, leading to daily blackouts. Earlier this month, the country mandated a three-day weekend as part of energy rationing. Now the situation has gotten worse, and yesterday President Nicolas Maduro shortened that work week to just two days. Everyone will report to work Monday and Tuesday, with the country's government and public employees required to stay home the rest of the week. It's not like they'd be getting a lot of work done anyway — some blackouts have lasted as long as 12 hours. This is obviously is not sitting well with people who need power to do their jobs in order to make money. Or who need refrigerated food to live. 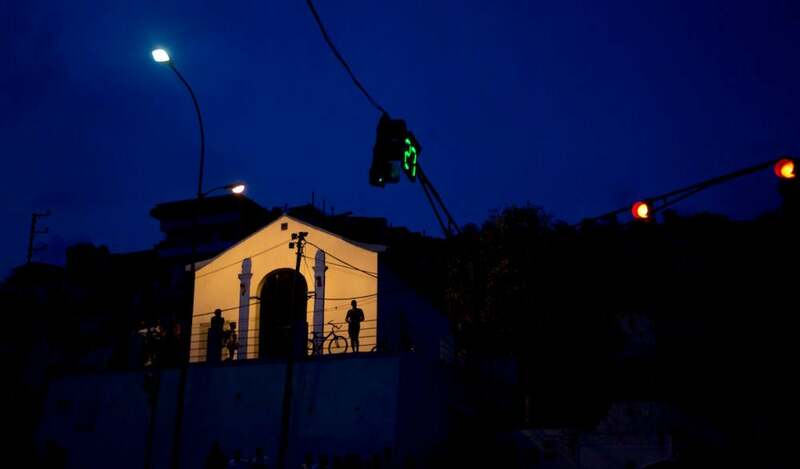 Yesterday, protests erupted amidst the rolling blackouts that have become the norm, as angry Venezuelans looted stores and rioted near the government's power company. The mismanagement of energy is made even more painful since Venezuela has the largest oil reserves in the world. At fault? You guessed it: El Niño. A crippling drought has brought high temperatures and historically low rainfall amounts. Water levels are so low at the Guri Dam, which supplies about two thirds of the energy for the entire country, that the hydroelectric plant will likely need to shut down to avoid damaging the turbines. The government claims that the energy crisis is a good thing because it means people have enough money to buy appliances (???!!!). Don't worry, though, President Maduro had a special message for the women of Venezuela to want to help save a few volts: Stop using hair dryers. "I think a woman looks better when she runs her fingers through her hair and lets it dry naturally." THANKS DUDE.